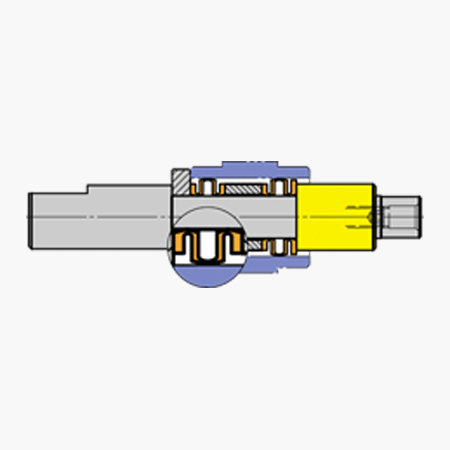 By applying an axial force the clamping sleeves move in direction of the force and expand radially. On the one hand this eliminates the clearance between clamping sleeve and body, on the other hand between clamping sleeve and workpiece. The workpiece is being clamped. Depending on the tolerance of the workpiece, on the design of the clamping tool and of the clamping sleeves the system SP achieves concentricities of ≤ 0,002 mm (corresponding to ≤ 0.0001 inch). Due to this high precision the system SP is not only used to clamp workpieces, it is also used to clamp tools.